Stephen with his running guide, Katy Whitford. 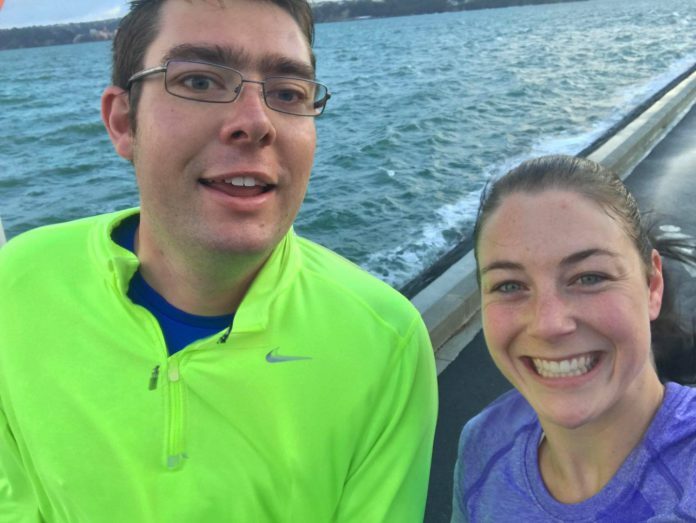 The pair will be running the New York Marathon together in November. ‘Be the best you can be’ isn’t just a marketing slogan for AUT Millennium. It is something embodied in the people who work here, both professionally and personally. A shining example of this is Facility Assistant Stephen Jenkins, who hasn’t looked back after picking up running two years ago. 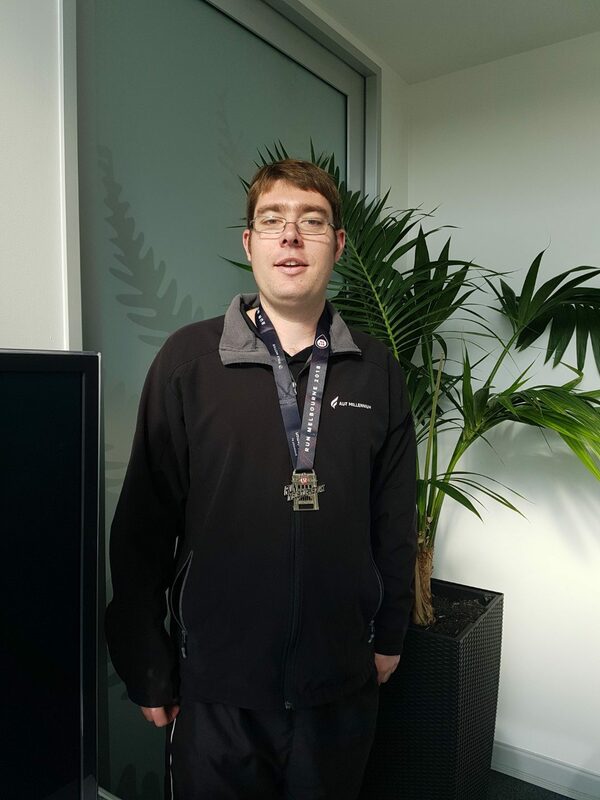 Stephen recently ran a new half marathon personal best in Melbourne. His time of 2 hours 2 mins shaved four minutes off his previous best, which was only recorded in June. It seems that each time Stephen laces up for a race, he’s improving. Stephen with his medal from Melbourne, where he ran a new personal best time. Stephen has big goals for his running. “I’m going to do the New York Marathon again this year, and I’m going to do Gold Coast next year.” If his recent form is anything to go by, Stephen will be knocking out even more PBs!